Preliminary grading had already started on this lot on Woodlark Drive. 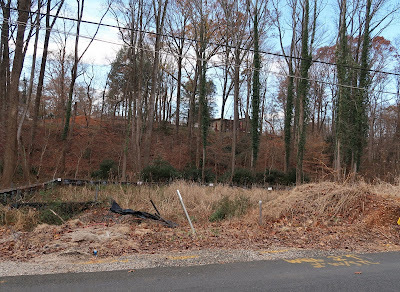 In what could be seen as a major victory for the environment, the Chesapeake Bay Preservation Ordinance Exception Committee (ERC), agreed that a house should not be built on a vacant lot subject to flooding at 4104 Woodlark Drive in Annandale. The committee was established by the Fairfax County Board of Supervisors to review applications for development activities within Resource Protection Areas (RPAs). Following a lengthy, highly technical discussion, the ERC voted Dec. 12 to deny an application for a single-family house on an undeveloped wooded lot with an RPA submitted by real estate investor Sheila Konecke, the owner of a HomeVestors franchise. The lot is just outside the beltway in the Braddock District. In rejecting Konecke’s application, the ERC passed a motion stating that there are numerous problems with the proposal and that there were no assurances that the construction of a house on that lot wouldn’t lead to the degradation of water quality. One of the ERC’s major problems with the application had to do with a proposal to bring in 1,900 cubic yards (300 truckloads) of dirt into the RPA on top of poor soil that is already saturated. There were also concerns about a stream on the property that could be subject to erosion and sediment issues. The ERC did not agree with the assertions of the applicant’s engineering consultants that their proposal for a swale on the property would be effective in capturing sediment and protecting the watershed. “Our goal is to protect water quality,” said ERC Chair Chris Koerner, and this application would not do that. 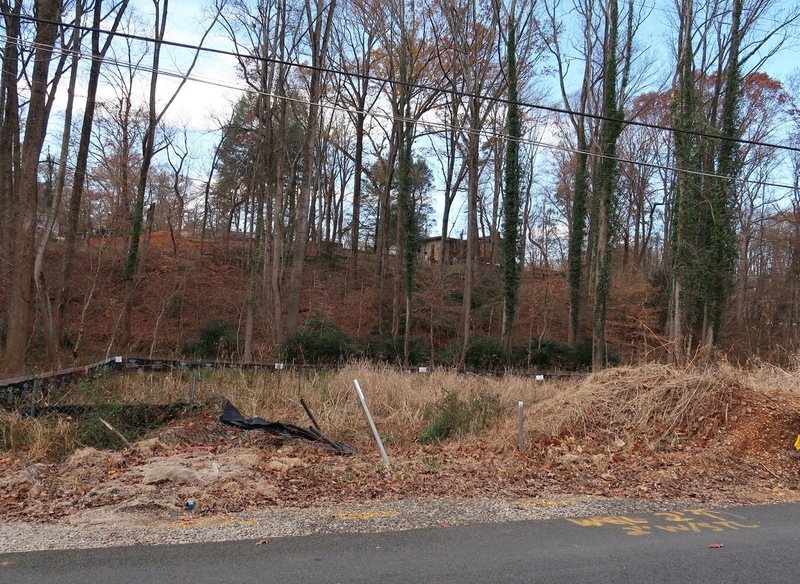 Koerner called the proposal an “unusual, complicated application that may well be precedent setting.” There are three other unimproved lots on Woodlark Drive that could also be subject to development if the ERC approved Konecke’s application. According to Koerner, the ERC hears only one or two of these cases a year, but that could increase as the amount of land available for development shrinks. Following the ERC vote, Greg Budnik, a civil engineer who represents the applicant, said Konecke hasn’t decided whether to pursue an appeal. He noted that county land development staff had previously endorsed the application. Konecke’s attempt to develop the Woodlark Drive lot has been going on for nearly two years. The proposal has been complicated by a lawsuit filed by a neighbor aimed at enforcing a decades-old deed on the property that requires a 75-foot front yard setback. That made it more difficult to fit a house on the property without having an impact on the RPA. In a ruling on the lawsuit, the Fairfax County Circuit Court issued a preliminary injunction in July 2017 prohibiting construction of a house within 75 feet of the front yard. Koerner suggested that Konecke could try to meet with the Fairfax Hills community association to get them to reduce the 75-foot setback. But Budnick said community residents are not interested in meeting with her, noting that they spent more than $20,000 to fight this. Wow congratulations to us! I hope this is precedent setting. It's terrible the community residents had to spend $20,000 to stop such a stupid development, but thank you for doing that. She can appeal this to the Board of Supervisors so be sure to let Supervisor Cook know how you feel about this. Thank you to the ERC for their efforts to protect our environment from unwise and potentially threatening development. the system is totally rigged against individuals who want to develop their property like this lady, while the big contractors and large money developers who line the pockets of developers can do whatever they want to wreck the environment every day. total double standard. get your act together fairfax county and treat everyone the same. Not every lot is the same. Not every lot is in a floodplain. Not every lot is in an RPA. Not every owner ignors the covenants requiring a 75' setback where a neighbor sues to enforce. Virginia is a buyer beware state and the due diligence to purchase is the responsibility of the buyer. All the taxpayers of Fairfax County are paying a high price for stream restoration projects to repair this particular impaired stream. Don't buy property in a floodplain and expect to engineer your way to profit at the expense of clean water. Happy to hear that FFC did something right. Wish they can protect our mature trees in our neighborhoods from newly arrived immigrants. New asian family moved in and the first thing they did was cut down a 40 yr old Japanese Maple. What is wrong with these people, why dont they move to a house in the desert where there are no trees. And of course the county can't do anything while the rest of us suffer from the environmental impacts of our diminishing tree canopies.